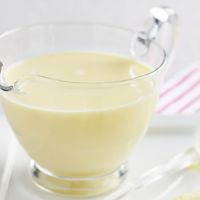 This is lovely easy custard that gets better by every week trust me! This recipe is the property of noxx1993 and released under the CC Attribution 4.0 license. You may not copy, derive or commercialize this recipe without following the terms of this license or the explicit permission of the creator.